Words ride on the outbreath. Sound is waves; the waves compress the particles in the air. words are gestures of the tongue. The voice is controlled by tiny muscles. The muscles control the size and frequency of the waves. Words and movements have rhythms and exist in time. Rhythm is breath is sound is movement. Language is sensory; movement is cognitive. Language is cognitive; movement is sensory. 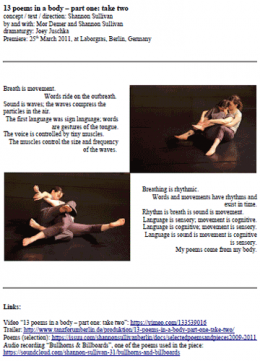 Language is sound is movement is cognitive is sensory. My poems come from my body. 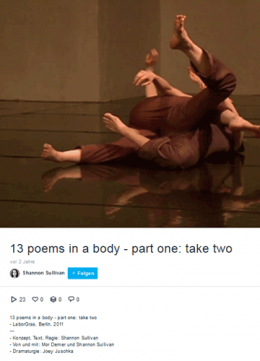 “13 poems in a body – part one: take two” is Shannon’s second piece in a borrowed body, after “13 poems in a body”. Mor Demer was born and raised on the Kibbutz Dvir in Israel. She studied at several dance schools and training programs, including the “Vertigo Dance Company”. 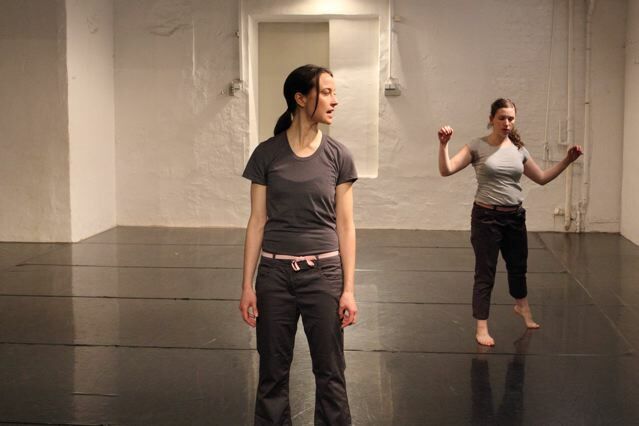 She worked as a dancer in the “Young Vertigo Company” in Jerusalem as well as with various choreographers: Imanuel Gat, Galit Lis, Inbal Oshman, Sasha Shmurak, Elad Shechter, among others. Today she lives and works in Berlin. 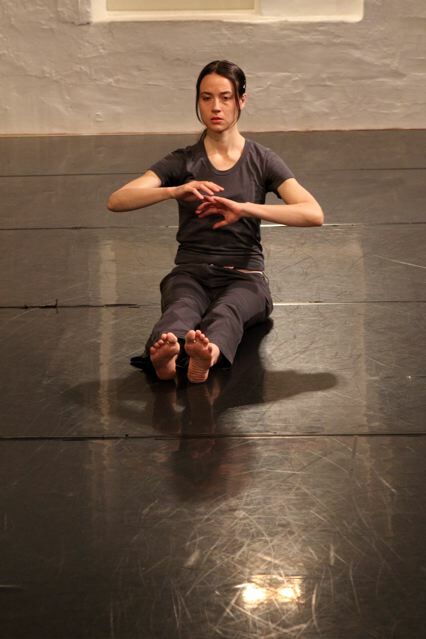 She performs solo and group improvisation and works as a dancer for various choreographers.